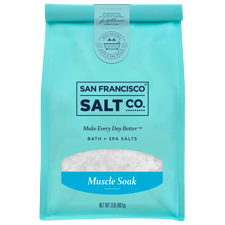 Epsoak Kids Soak & Sleep by San Francisco Salt Company is made with premium Epsom Salt (Magnesium Sulfate). The delicate formula is made with lavender and is gentle on the skin. Soak & Sleep is an all-natural remedy to help your child relax before bedtime and scare away growth spurt pains. It’s the perfect bath/shower soak for the end of a long day. 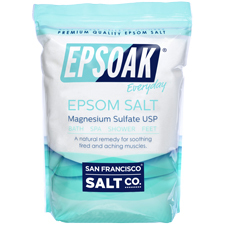 Known for its premium quality and many therapeutic uses, Epsoak Kids Epsom Salt dissolves easily in warm water. 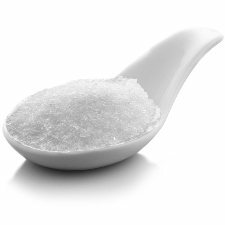 Epsoak is a naturally translucent/white salt in medium grain (0.2-3mm). 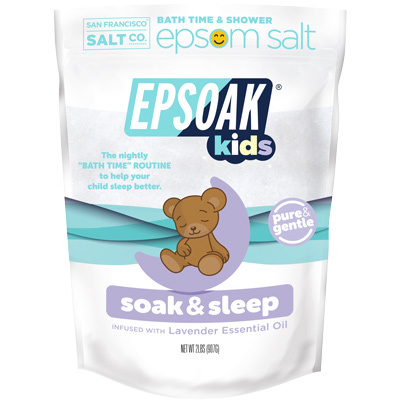 Epsoak KIDS?SOAK & SLEEP�by San Francisco Salt Company is made with premium Epsom Salt (Magnesium Sulfate) infused with�Lavender essential oil, recognized for its calming and stress-relieving effects. PURE & GENTLE BATH SOAK -�Epsoak KIDS bath soak does not contain any synthetic colors or fragrances, parabens, phthalates, or SLS. WITH ALOE VERA & VITAMIN E -�For added skincare benefits. 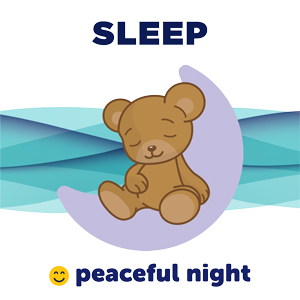 PROPER SLEEP IS CRUCIAL FOR CHILD DEVELOPMENT:�Recommendations call for children to sleep between 10 to 14 hours per night.�As any parent knows, getting the cubs to bed can oftentimes be an unBEARable experience.�You can help ease your little ones towards their nightly hibernation with Epsoak KIDS. HELP TAKE AWAY THOSE ACHES & PAINS:�Our formative childhood years can oftentimes be punctuated by the memories of how we obtained certain knee-scrapes or elbow bumps. It's a comfort to know that relief from the hard knocks of life is only a short reach away in the form of SOAK & SLEEP. YOU NEED TIME FOR YOURSELF, TOO! 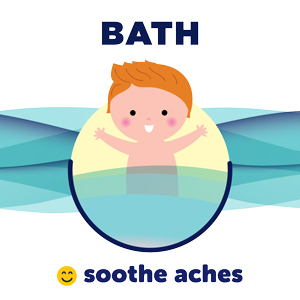 USE FOR: BATH OR SHOWER - Soothe Aches & Pains, Cleanse & Soften Skin - A better night's sleep for your child. 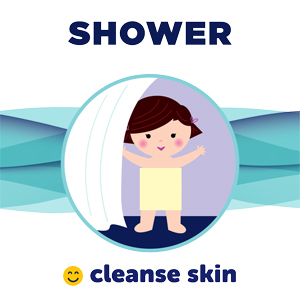 Add one handful for a full size bathtub or 1-2 tablespoons for a baby tub during your child's nightly bath time routine. 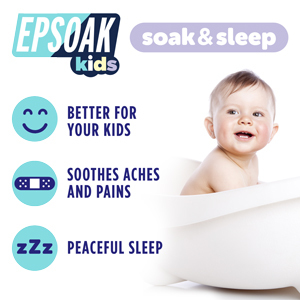 If your child is old enough to shower, Epsoak Kids Soak and Sleep can be used for its aromatherapy benefits, by blending with bodywash. Careful not to slip! 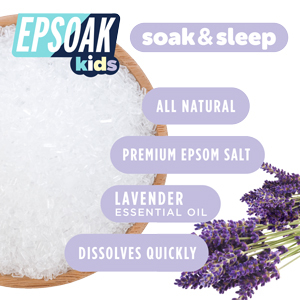 An Epsoak KIDS Lavender bath before bedtime will help ease your little one's into a peaceful night of slumber.